Bvlgari Man Extreme is elegant, attractive and deeply intense fragrance. 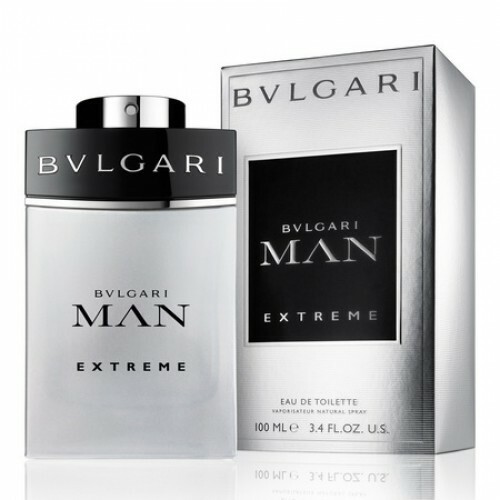 Bvlgari Man Extreme 100ml. Eau De Toilette is elegant, attractive and deeply intense fragrance that caught a man full of energy reserves, certainty, confidence and maturity. It is sensual and beautiful masculine cut out for modern confident and charismatic man. It is a luxury brand with a strong Italian style. Bvlgari brand is inspired by the timeless beauty of Greek and Roman art, founder Sotirio Bulgari descendant of Epirus, was launched as a manufacturer of silver jewelry, which is reflected in the design of the bottles. The first Bvlgari store opens in Rome and soon became very popular. After World War II, the family Bvlgari apply strict rules for creation of gold jewelery and accessories Bvlgari, launched its first store in America, New York, focusing also on the production of watches. In 1993 the Bvlgari perfume line was launched. Bvlgari perfumes are quickly becoming very popular, placing it in the fashion world as conventional products, such as the fragrance Eau Thé Vert have. One of the most popular game is Bvlgari Omnia. The history of Bvlgari perfume is a short but very intense. Fragrance to suit everyone who is already familiar with the classic scent Bvlgari Man, and all those who have not yet dared to do it, but surely want to experience the extreme freshness of the new fragrance. Top: pink grapefruit, bergamot from Calabria and cactus pulp. Heart: freesia flowers white, Guatemalan cardamom and vegetable amber. Base: balsa wood tones and vetiver from Haiti, Rosin.